FRISCO ” U.S. Congressman Jared Polis made history for Summit County on Thursday when he cut the ribbon to his new district office at the West Main Professional Building in Frisco. The congressman spoke of concerns for the Interstate 70 corridor, mountain pine-beetle impacts and the economy as regional issues his office is intended to help address. In addition, people who have problems with Social Security, veterans’ affairs and immigration issues may find help through the office. Nissa Erickson, a local resident of about 16 years, will be Polis’ representative and community liaison. “I will be attending a lot of community meetings,” she said, adding that residents are encouraged to visit the office with questions and concerns. She said she’ll be taking Spanish classes and that, in addition, a Spanish-speaker from Polis’s Boulder office occasionally will be available in Frisco. The office is likely the first of an active congressional representative to be located in Summit County. Local historians Mary Ellen Gilliland and Maureen Nicholls say they know of no other such offices in the county’s history. Former county commissioner Gary Lindstrom said the location in the center of the state’s mountains and the economic impacts of the resort industry make a great place for a congressional district office. “Jared’s a very energetic, active politician, and having an office in Summit County will be very helpful to address needs here,” he said. The Democrat’s 2nd Congressional District includes Summit and all or parts of 10 other counties. The Frisco office is intended to serve Summit, Gilpin, Clear Creek, Eagle and Grand counties. 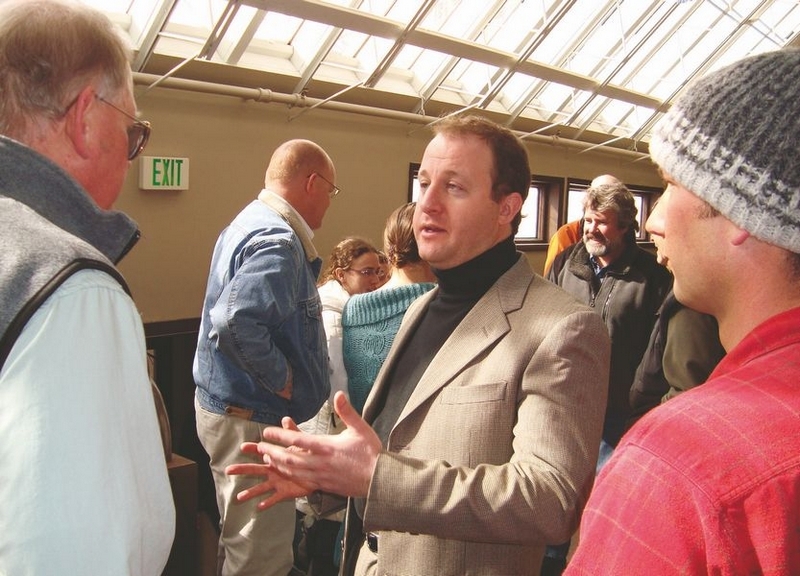 Polis spent Thursday morning attending a local meeting regarding mountain pine-beetles and visiting Summit High School, where he met with students and district officials. He said he’ll likely return to Summit County in April, if not sooner. For more information regarding the congressman or the new office, call (303) 484-9596 or visit http://polis.house.gov.